BEAUTIFUL UPGRADES, FANTASTIC LOCATION, PREMIER BUILDING WITH LOW ASSESSMENTS and TAXES. A spacious one-bedroom corner residence (1,040 sq ft) set on the 13th floor of this modern, highly regarded full amenities building. Newly upgraded in 2018, this property is beautifully presented throughout! Notable features include all new appliances, all new flooring, new bathroom cabinetry, in-unit laundry, floor to ceiling windows and generous amounts of closet space. A pet friendly building, The Bristol offers a wealth of amenities including 24-hour door staff, indoor swimming pool, hot tub, large, fully equipped exercise room overlooking the awarding winning garden terraces, steam room, dry cleaners, bike storage and on-site management. 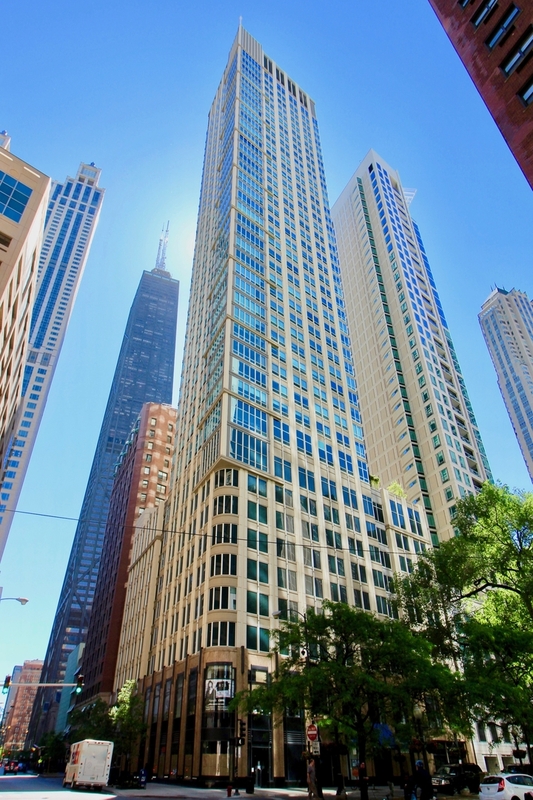 Considered as one of the best locations in Chicago less than one block from Michigan Avenue. A deeded parking space is available at an additional cost. Property information last modified by seller on Monday, April 01, 2019, 06:08 AM CDT. Information Deemed Reliable But Not Guaranteed. Unauthorized duplication, use, or linkage is prohibited. The information on this web site is for personal, non-commercial use and may not be used for any purpose other than to identify prospective properties consumers may be interested in purchasing. Monthly Payment Calculator results are for illustrative purposes only, not a financing opportunity; calculations assume a 30-year fixed-rate mortgage and do not include closing and other costs. Property Tax on NEW properties is estimated at 1.5% of Listing Price for payment calculation purposes; actual value may be higher or lower.